I’ve not read any ‘vampire books’ for a while now. Before I started Bites (last night at midnight, finished first thing this morning!) I was thinking to myself “I don’t really do vampire stories” but that’s not true: I read most of Ann Rice’s books, Twilight Saga, all the True Bloods (until about book ten when they got dull), Bram Stoker, dabbled in YA vampires with Blue Bloods, the first House of Night and a couple of not-so-good indie ones…and I liked most of them: some I loved, some not so much…and that doesn’t stop at books because I was a Buffy fan (not so much Angel) and have been loving the True Blood TV series. Perhaps I just go through phases of reading and then find myself a little under-awed with a genre after a while? 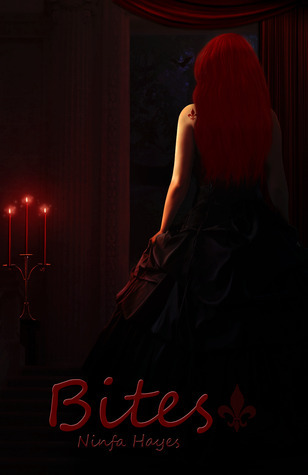 Bites is actually a novella of two short stories: Demonica and Last of the Blood – one is a more traditional vampire story, the other a semi-demon crossover with a smattering of angelic backstory which I was hooked on by the end of the first page… Both stories read well and quickly – as short stories there is a limited amount of world building (obviously!) but they introduce interesting characters and concepts. In Bites, Damon is a thoughtful vampire – with shades of Louis, perhaps Angel, Edward and Bill about him – in how he views the existence he has and vampire/human relationships. I liked the POV story-telling from his side and found his rather poetic voice carried me through his story with interest. The resolution the issues of the story fits perfectly with his character. Catherine also really interested me – I think her experiences and perspective would offer a good story. Demonica was my favourite of the two stories – I like the origins story aspects of the beginning and found myself drawn in very quickly. Again – good characters, interesting ideas and I think a good basis for longer novels. This entry was posted in Reviews and tagged bites, debut release, ninfa hayes, novella, short stories, vampires, YA. Bookmark the permalink.